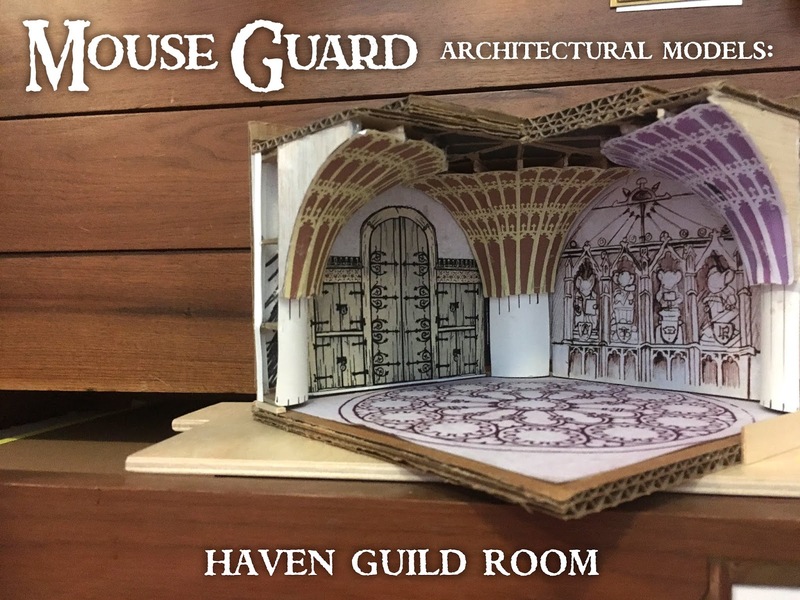 Back when I was drawing Mouse Guard: The Black Axe #6, I built a modular model of the Haven Guild room. 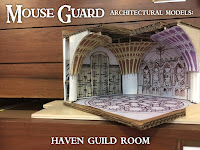 This model was made of cardboard, bristol board, paper, and basswood. Below is a video about the model, how I made it, how it was used, and how it could come to be used again in the future.